As part of the trail planning process, the City of Oregon City is hosting a Greenway for a Day in the historic McLoughlin and Canemah neighborhoods on Saturday, July 29. The event, held from 9 a.m. to 1 p.m., will feature a temporary marked trail between the Museum of the Oregon Territory and Canemah Children’s Park. The one-mile Greenway will be marked by cones, balloons, temporary stencils, and volunteers, and streets within the Canemah neighborhood will be closed to through-traffic. The McLoughlin-Canemah Trail is also a small segment of the proposed Oregon City Loop Trail, which has been on the books for years. An advisory group of local community members is working with the City to determine the trail alignment and design this summer. One member of the advisory group is Jessica Smith, a Canemah resident. "I love this City where we run our Main Street family business and the small offshoot called Canemah where we've lived for the last decade. With the continued growth of Oregon City and the eclectic Canemah community evident, I joined the trail project to help our community embrace the inevitability of change." Jessica says. Partnerships abound for this project. The Museum of the Oregon Territory will be hosting one of the Greenway stations in their parking lot and will offer 2 for 1 museum admission during the event. 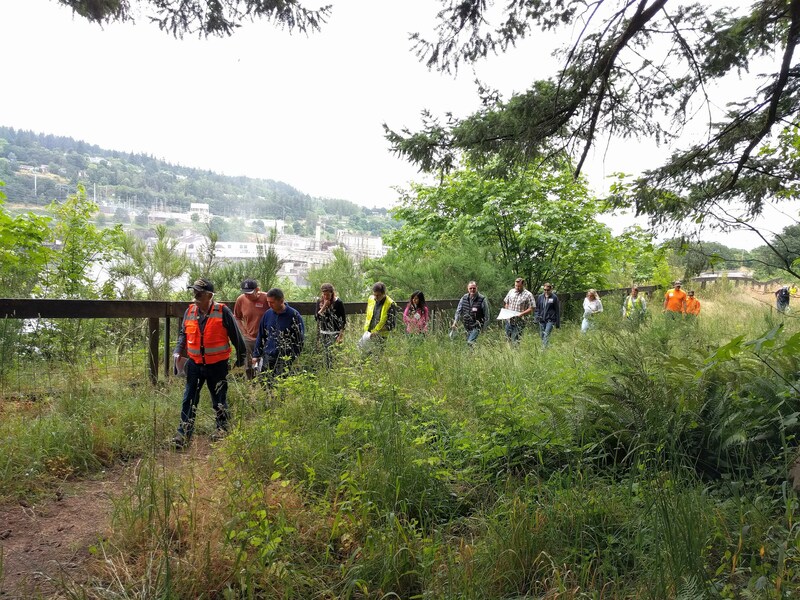 Portland General Electric, which operates a substation along the Greenway route, is working with the City to provide safe access through the property and is participating on the advisory group for the McLoughlin-Canemah Trail plan. SOLVEOregon is helping to coordinate the ivy pull.